Sometimes, as a parent, you have to give yourself a break. Even mothers have to heed the call of nature. But with a headstrong and mischievous three-year old in tow, a parental potty break in a public building can become an exercise in surprisingly emotional fear and guilt. I mean, we are supposed to be able to keep our children safe. We aren’t supposed to lose them! But what can any reasonable parent do wedged in a tight bathroom cubicle with a toddler and sitting in a very compromising position when the wiggle worm decides it would be the height of fun to crawl out under the stall door and run out of the bathroom? I can still feel the brush of his jeans across my fingers as I just failed to grab hold…. Thankfully, with Code Adam, a nation-wide program administered by the National Centre for Missing and Exploited Children (NCMEC), my anxiety in our local children’s museum was contained by a very orderly and confident process. Code Adam, created and named in memory of 6-year old Adam Walsh who went missing while shopping with his mother and was later found murdered, is a simple but powerful search process focused on marshaling employees of public buildings, such as stores, libraries and museums, in a systematic search for lost children in the crucial moments immediately following their disappearance. All potential exits other than the front doors were either closed or closely monitored and a member of the security staff escorted me to the front entrance to ensure my son, Elliott, did not leave the premises. I spent what felt like a wretched eternity desperately scanning the sea of kids, choking back tears, and constantly affirming to my security pal that I’d never lost my kid before…honest! If my son wasn’t found within 10minutes, the next step would have been for security to call law enforcement. If he had been found in the company of someone other than a parent or legal guardian, the procedure would call for reasonable attempts to delay their departure until the arrival of police, without putting anyone in danger. Thankfully, I was reunited with my wiggle worm within that timeframe, a staff member having found him obliviously and happily playing on a computer screen in another area of the museum. When he was back within arms’ reach I didn’t know what I wanted to do to him (or what would be considered the politically correct behavior)…wrap him in my arms and say “Thank God”…or berate him for running off from Mommy? So I fudged and did a little of both! So what can parents and safety advocates do? Check building entrances for the Code Adam decal. Know whether Code Adam is used in that venue before you and your children enter. Know the Code Adam procedures. I’d like to say my story above is the only example of our use of Code Adam in the past eight years, but my son has triggered 2 other experiences in large retail stores. In one of these venues, the staff I located did not know the Code Adam process. Thankfully I did…and suggested they call security and institute a Code Adam page….missing child quickly found. Lesson: Don’t rely on the quality of any given store’s staff training. Make sure caregivers know. Even if you are very familiar with Code Adam and its procedures, what about babysitters or grandparents? How often are they out with your children in a public venue? 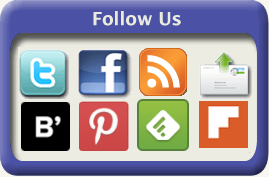 Be sure that they also know about Code Adam and how to ensure it is appropriately implemented. Suggest Code Adam to local venues. 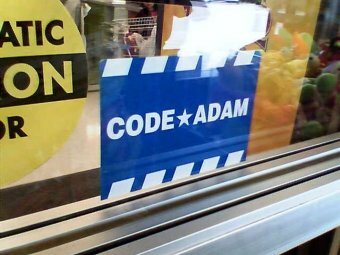 If a local store or establishment with a focus on families or children does not display the Code Adam decal, consider finding the manager and suggest that they participate. They can find everything they need at www.missingkids.org (search “code adam”). Additional information can be obtained by calling 1-800-THE-LOST (1-800-843-5678) or emailing codeadam@ncmec.org. Excellent post – I’ll be sure to pass it on because we’ve all been there! Thanks so much! Appreciate since it’s my first. And it’s good to be reminded we aren’t alone! Audra, I appreciate the “realness” and good humor in your writing and found your article to be an enjoyable read as well as an educational one. Well done! Thank you for your wonderful story. And I was delighted with the happy ending. I started systematically going down clothes aisles, pulling the clothes aside, knowing how children love to hide. But then it dawned on me, I had no clue who I was looking for! Was it a toddler? A preschooler? I had no information. It was just a reaction to start looking. I headed towards the woman to get some of the answers to those questions, but when I caught up to the screaming voice, I saw that a few sales people were trying to help, but there was only chaos because everyone was firing the questions all at once, and she was still running randomly through the store screaming his name, with the others in tow. I saw the same aisle get searched twice. I asked (no one in particular) “why is no announcement being made over the loudspeaker? Why are they not calmly using the overhead to call his name?” In hindsight, I do not know why my first reaction wasn’t to get security, but to gain some control. But that of course is hindsight. I went to her and blocked her path. In most given situations like someone getting loud or causing a disturbance, I tend to hang back. I can be guilty of the “I am not getting involved” attitude. But not when a child is involved. Not when a child might be in danger. I reached up and put my hands out and just said, “STOP!” I didn’t yell it…. There was already enough panicked voices. Mine would have just been drowned out by the others. Instead, I said it with authority. To my surprise, it worked, and the sales people around her stopped also. I knew I had their attention, but I also knew it would be short-lived. I told her she needed to calm down first, because nothing was getting accomplished; and if her son thought she was yelling because she was angry, he’s not going to come out from his hiding place, and that we couldn’t cover the entire store ourselves, we need to have more help….. I pulled the salesgirl who was next to me closer and said I needed her to make an announcement calmly over the PA. With my hand still on the salesgirl, I turned to the woman and said, “We need to know his name, how old he is, about how tall is he, and what color jacket he was wearing.” When she provided the information, I sent the girl to make the announcement. than asked the mother where the last place was that they were together. I told my friend to check the women’s dressing room and bathroom, than randomly grabbed a guy by the arm and said, “we’re looking for a 3 year old boy… his name is ******* and he has on a green puffy jacket. Please check the men’s bathroom and dressing rooms.” I walked quickly with the woman down the main aisle towards where she indicated they had last been together and started sending people systematically down rows to start looking. The announcement was made over the loudspeaker to other customers, and the salesgirl added a message directly to the child, saying his name and that his mommy was worried. The only thing she didn’t add was to go to any sales person. I worried that rather than him staying where he was, or seeking a sales rep, he would try to look for her. Within a few minutes, we were advised he was found. But I will end this by saying, as a person who does not have children, I will honestly admit that at first I was angry at the mother! How could she not be more aware of her child? Doesn’t she know kids wander off? And I even made a comment to my friend saying, “I hope that scared her enough to pay more attention to where her kid is!” But I am really glad I read your post, because the scenario you posed was one that had never enetered my mind, and taught me to be a little less judgemental and more open-minded. And I am now aware of Code Adam. Thank you. Thank you Suzanne for sharing your story! …and thanks for reminding us that the best way we can make a difference is to help…not judge…a parent in need. Thanks again!